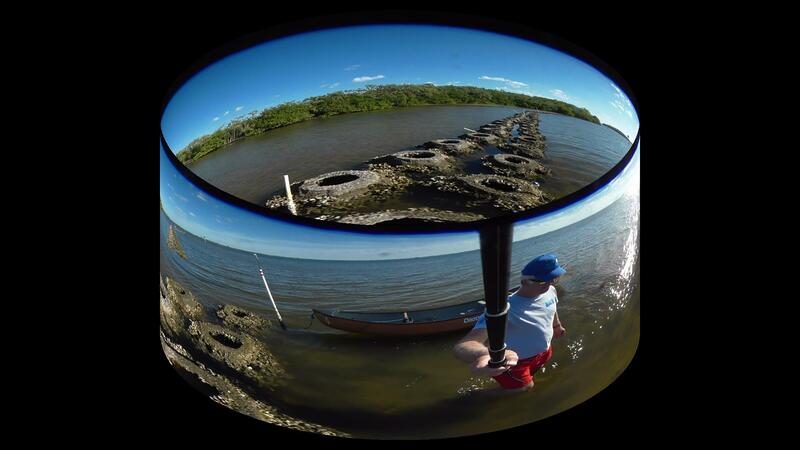 This month Jim surveyed the Audubon project designed as a living breakwater at Bird Island located in Tampa Bay off the Alafia River. 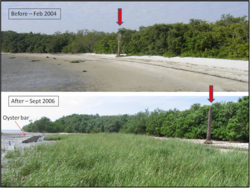 Essential Fish Habitat, as well as a breakwater is the importance of re-establishing an “offshore bar”. This video from September 2015 will give you an idea of the type of marine life attracted to the structure. No, other artificial reef material provides the surface area, wave attenuation and eddie currents that are created with the use of Reef Balls. 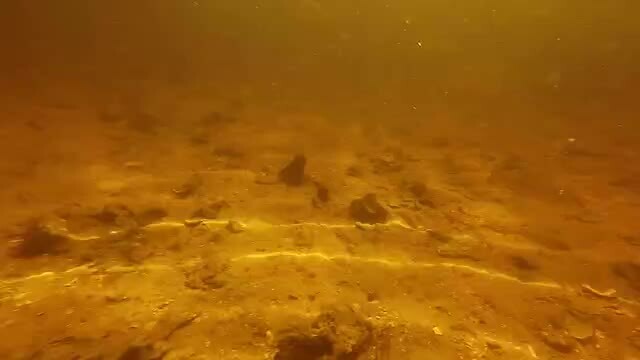 In the video you will also see the value of the relief from the bottom that creates habitat that cannot be created with bags of shell, or layers of rock. I conclude, that in any living shoreline restoration project there should be an living breakwater off the shoreline in depths of 3′ or more. 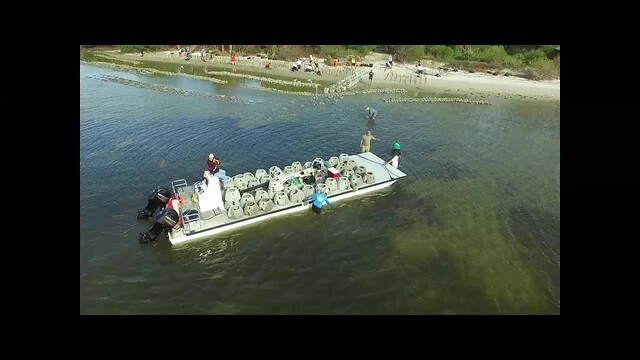 Video filmed in Tampa Bay Florida – McDill provided to Reef Innovations. This photo says it all. 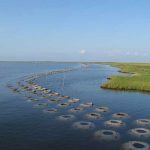 By placing the Reef Balls along the shoreline to create an oyster reef, the shoreline was protected and the marsh grasses are now stabilizing the shore and province a great place for carbon sequestration. Not to mention the EFH, and all other crustaceans doing their part to improve the Gulf of Mexico.